This past Monday 8 innocent people, 6 adults and 2 children were murdered in cold blood and then the murderer, Phu Lam; killed himself. You can read the news article here. Apparently one victim, the murderer’s ex-wife was found at one location and the other 5 adults and 2 children were found massacred in another residence on the other side of town. Phu Lam was found dead in a nearby town, Fort Saskatchewan; in a restaurant owned by another ex of his. The police had been called to the house earlier in the evening because someone was concerned about a suicidal man, but when the police arrived the man had left. They went back later but no one answered the door and they couldn’t see anything through the windows. When they received another call from a neighbor saying they had heard shots fired the police returned and kicked the door down, finding the horrific scene. Shortly after they were called to Fort Saskatchewan because the suspect’s vehicle was parked outside a restaurant there, inside they found the body of Lam who had obviously taken his own life. From recent news reports I have heard on the radio there was a history of domestic abuse between one of the victims and Lam. Lam had threatened to kill his wife and her family and she had gotten a protection order against Lam in 2012. The order was rescinded in 2013 when neither Lam or the victim showed up in court. The victim had testified in 2012 that Lam had choked her until she thought she was going to die, threatened to kill her and her family and stalked her. Neighbors said they heard a man and woman outside fighting and heard yelling coming from the house but the man did not live there. Apparently a woman, two children, and a grandmother lived in the home, I don’t know who the 5th victim was, I think it was a sister. The gun Lam used was registered in BC in 1996 and stolen in Surrey in 2006. Anyone can get a gun, just because they don’t own a gun does not mean they can’t get one and if someone is determined to kill someone; there are many ways to do it. Never allow yourself to have a false sense of security just because your abuser doesn’t own a gun. The police were called to the house two times, once in November 2012 and Lam was charged with sexual assault, domestic violence and uttering threats and then the night of the murder. Never let your abusive ex in the house!!! no matter how much time has gone by. No contact is important for many reasons, not just for you to heal but also to keep you and your family safe and alive. Do not be a statistic! This just goes to show, no matter how much time has gone by, you never know how long a psychopath will hold a grudge or when he will snap. This is an update I recently heard on the radio. Apparently this killing spree went on for a couple of days. Lam had his two children with him at the time he committed the murders, a 10 month old and a child under the age of 2. He killed the 7 people in the house first and stayed in the house for several hours before going and killing a woman at another residence with her husband and children present. The news story said she was not the intended victim. Lam then dropped his children off with a relative and drove to Fort Saskatchewan, where he committed suicide. Neighbors at the house said a car pulled in and a man got out, went in the house and came out looking very distraught. They saw him on the phone in the car and then the police arrived, went in the house, came out and talked to a woman in the car who then went hysterical and was screaming something about her children. The police took the woman away. Yet again, heartbreaking. Will it never end…I’ve no idea to what measures one must take to remain safe. I just don’t know. Warm embrace. busymind, i have a free download at the top of the blog; a safety plan. it doesn’t guarantee the victim’s safety but it sure is a step in the right direction. Even for women who are not escaping an abusive ex, many of the safety measures should be taken by all women to protect themselves from rapists, robbers etc. We have to be diligent about our own safety. From what i gather they let him in the house, and had even called the police because they were afraid he was going to hurt himself. he left and came back and killed them all. That is rule number one, never let him in the house, get in a vehicle with him or meet him somewhere isolated. I’m SO f*cking sick of this…so sick…. We must band together & change the way people think. you are so right kim and i think there is a revolution brewing. I think the message is starting to be taken seriously. We can only hope and pray and continue to speak out. Never leave your guard down. My daughter did, she was abused, judge told them to work out a visitation schedule between the two of them he talked her into dropping the restraining order all of a sudden he was walking into the house whenever he wanted to assaulted her again got another restraining order this time he had the kids out and a babysitter was at the house he got in and told her he was just thirsty then waited in the closet until she came home and raped her! He has gotten away with everything so far hopefully she won’t back down this time. CAry, i am so sorry for your daughter. i pray the authorities are taking her seriously now. i know how frustrating it can be when the police don’t take you seriously and think it is a joke. i remember standing in the middle of the cop shop and telling whoever would listen. ‘i am not suicidal’ The cop looked at me like i was nuts and asked why i was telling them. i said because i am afraid for my life and i don’t want him to get away with it., he just stared at me and said ok.
it is so hard when the people paid to protect you treat you like your crazy. my prayers to you and for daughter. Army of Angels, you are so right. you never know when it will happen. and if you keep kids away from any loving father/mother they will eventually snap! agreed! an attitude change does need to happen! unfortunately, acts like this only demonize good fathers who have had their kids used to hurt and destroy men! THIS NEEDS TO STOP or more end-of-rope fathers will be taking justice in their own hands! miicar, I hope I have misunderstood what you are saying. There is never an excuse for a man to do something like this. Anyone who would do this is a very evil and sick man who should never have contact with his children. Any man who abuses his wife in any way should not have unsupervised time with his children. I agreed a good father should never be kept from his children and there are mother’s who lie in order to hurt the father of their children and that is totally wrong but THIS is not the way a healthy person deals with it and an act like this is not the actions of a healthy man who “snapped”. That is the age old misconception that the woman drove him to abuse her. No one deserves to be abused by any one ever. I’m as ready as I can be for the monster in my life to show up at my home or stalk me in town. He threatened to kill me if I told anyone the truth about him and I’ve told the truth to all the people to should know who he really is and what he really did to me. I shall not be afraid, I shall be prepared and ready. I’ve given the N’s ID info to the local DV center, the local Sheriff station and several select friends JIC I ever disappear so they will know who to look to first. Security cameras reinstalled. Pepper spray canisters near front and back doors. Screamer pocket alarm. Always let my friends know where I am going and when I expect to return. Now I’m considering buying a gun, although I’ve never shot one in my life. If there’s anything else anyone would care to suggest, please reply. I want to be as prepared as I can be. 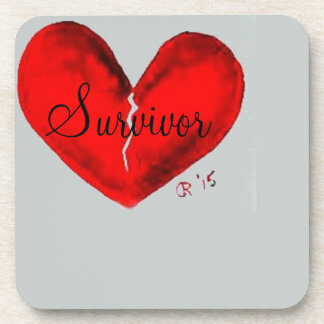 Big props to all other survivors of narcissistic abuse who aren’t cowering. O. you are doing everything right as far as i can tell. Good for you. i went so far as to tell my ex numerous times that if anything ever happened to me he would be the first on their list of suspects and he knew my son would track him down if anything ever happened to me. Nothing is a guarantee but they don’t want to go to jail if they can avoid it. Good old Edmonton where crimes are increasing. I live here and I hate it!